All our holidayhomes have got a pool on their domain. We are in direct contact with the owners and we can assure you that the house is in perfect state at your arrival. In case of problems we are able to solve them quick and to your satisfaction. Surroundings: The Lot (Quercy) was formed ca. 250 million years ago from the depositions of sediments coming from the sea. The limestone plateaux of Fate (a.o. Causse de Limogne, Quercy Blanc and the Causse de Gramat) are about 300 à 400 meters above sea level, except at those spots where the river water has carved deep gorges in the chalky ground. 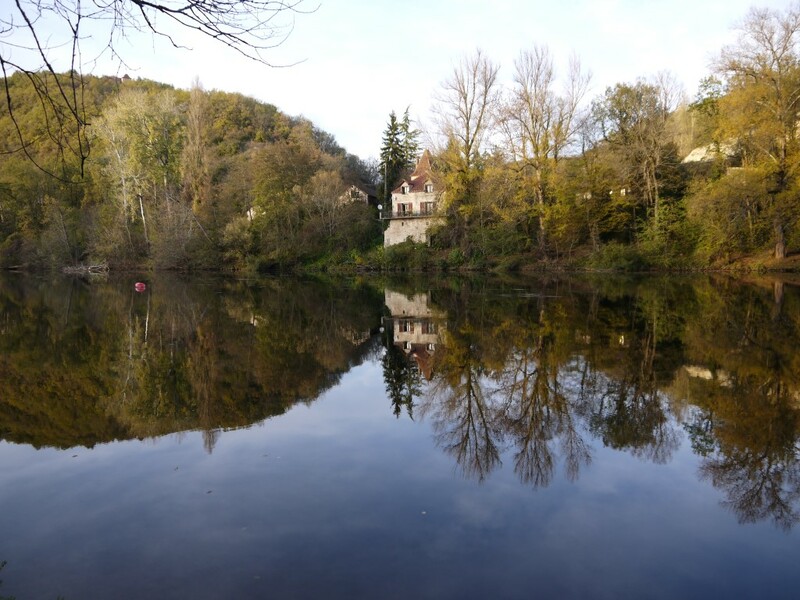 The Lot is located in the area “Le Quercy” also known as “La terre des merveilles” (the wondrous Earth) . In the East lies the Ségala, a rough and mountainous area with many canyons and overgrown with oaks, pine- and chestnut trees. Further west lies the Limargue, a narrow strip with clay and calcareous soil. This hilly fertile small area is covered with a coulisse landscape. In the West of the Lot lies the very wooded, hilly Bouriane, a transitional area between the limestone plateaus and the Périgord Noir with chestnut and many summer oaks. 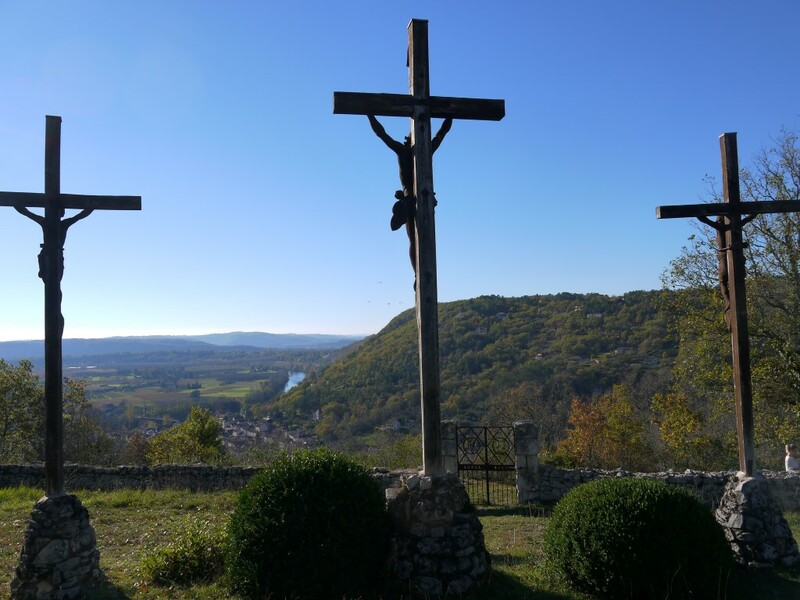 Southwest of Cahors you will find the causes: a hilly landscape with large chalk plateaus, the Quercy Blanc. The ‘ causses ‘ are rich with caves, underground rivers and deep wells. In our immediate surroundings you find centuries-old towns like Puy L ‘ Évêque, Fumel, Villefranche Perigord and Tournon-d’Agenais with beautiful squares, narrow streets, bastides and cosy cafés. 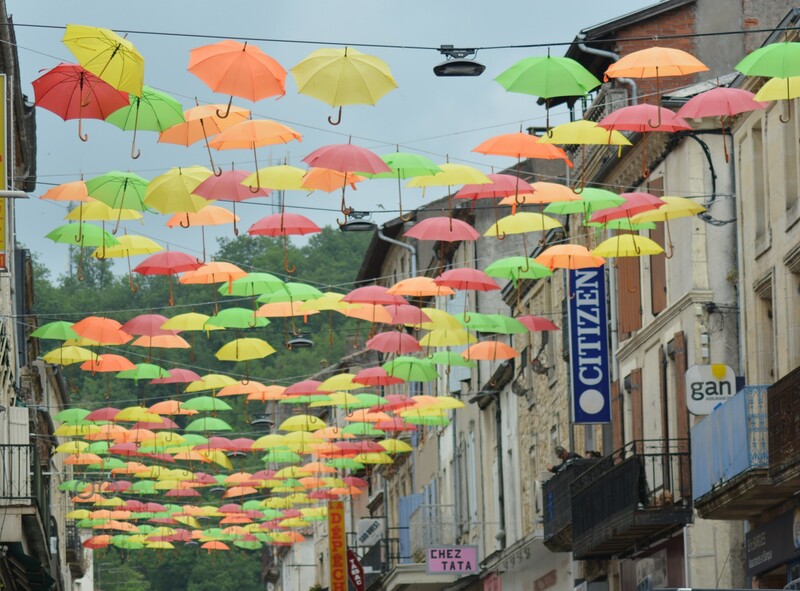 The famous places Sarlat (60 km), Cahors and Rocamadour (88km) are also worth a visit. You will enjoy the enchanting spirit of these mediaeval villages. The Department is one of main gastronomic area of France. It is the area of the duck breading farms: confit de canard, foie gras, salade de gésiers , magret de canard; definitely worth tasting are the delicious cheeses from this region (Rocamadour AOC). 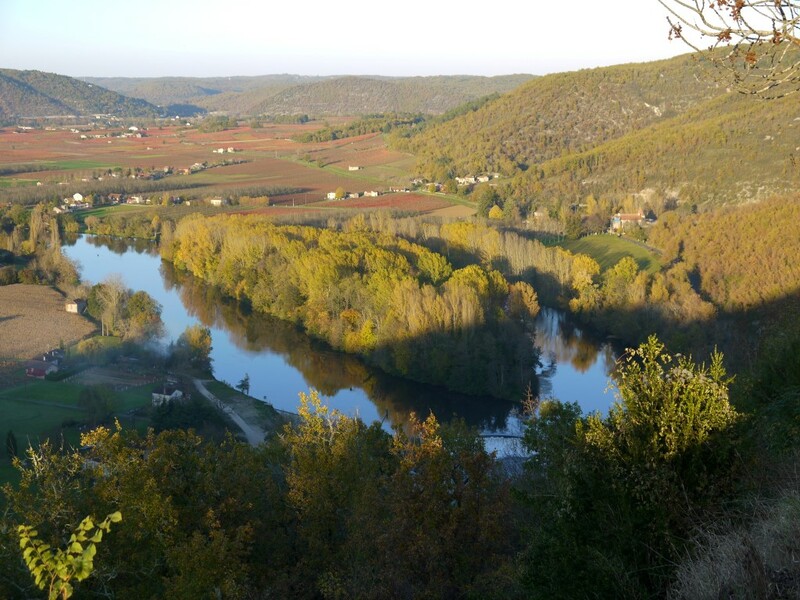 The area is surrounded by the vineyards of the Cahors; including some of the best caves of France. You will also find the truffles (with famous truffle market in Lalbenque in winter months), the melons of the Quercy (“le Melon du Quercy”) and the Tourtières (applepie from the region, can be found on each market with even a foire à la tourtière in Tournon d’Agenais). You can taste these culinary specialities from the Périgord everywhere you go. But also on culturally there is a lot to experience. The area has many well-preserved fortresses and castles. In the summer, here are many festivities. 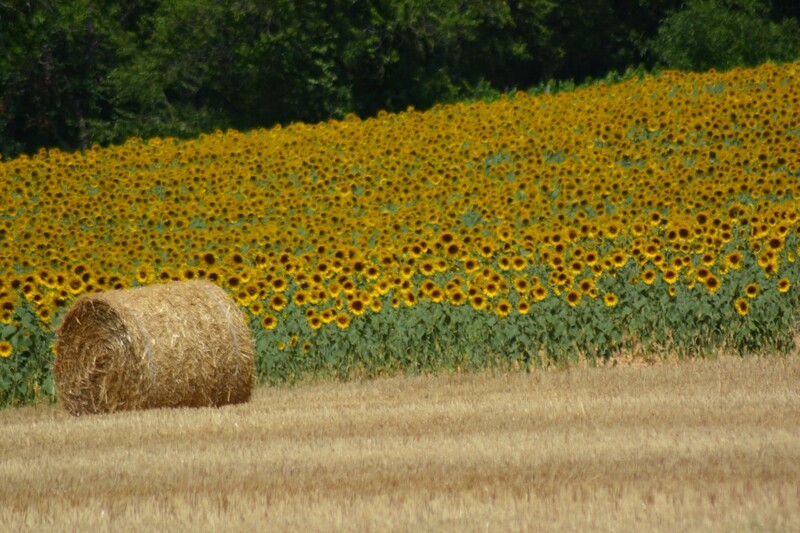 You mustn’t skip visits Bonaguil (7 km), Biron (34 km) and Monbazillac (76km). The climate is mild with warm summers and mild winters. From May of the temperature is very pleasant.